Mediawatch UK is putting pressure on broadcasters to add some sort of watershed to their on-demand content, after the group found that adult content could be accessed by minors. Currently, there are a number of shows with adult-themes which can be viewed at any time on-demand, and Vivienne Pattison, the Director of Mediawatch UK, is hoping this loophole can be closed, with a campaign due to start next year. "Ofcom's most recent research found that fewer than a third of parents use parental controls or are confident about how to use them," said Pattison to the Telegraph. "And often it's children of parents who cannot or will not do something about it who are the ones you are most concerned about." One of the ways Pattison wants content to be regulated online is through a password system, explaining: "This is a really obvious one, it would be simple to do and we hope to campaign on it big next year." 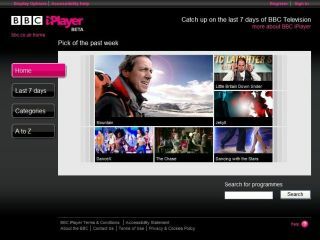 Both Channel 4 (who owns 4oD) and the BBC (which runs the iPlayer) have responded to Pattison's worries regarding adult content being seen by minors, with Channel 4 noting: "It's important to strike a balance between the positive benefits of the online world and putting in place guidance and controls to ensure that everyone and young people in particular, can make the most of it." The BBC notes it already has parental settings in place, saying "setting up these systems is optional but they can be easily activated at any time."